More than 36 million Americans suffer from hearing loss. While this condition is often viewed as an inevitable part of aging, over half of all patients are otherwise healthy adults under the age of 65. Regular hearing screenings are an invaluable tool in identifying problems early and taking steps to prevent further hearing damage before it is too late. We encourage you to schedule an appointment for a hearing screening with one of our audiologists during the month of October, recognized nationwide as Audiology Awareness Month. Hearing loss can be caused by a variety of factors including noise exposure, trauma, diseases of the inner and middle ear, ear infections, excess earwax and certain medications. It can happen so gradually, you may not be aware of a problem until it has reached an advanced stage. 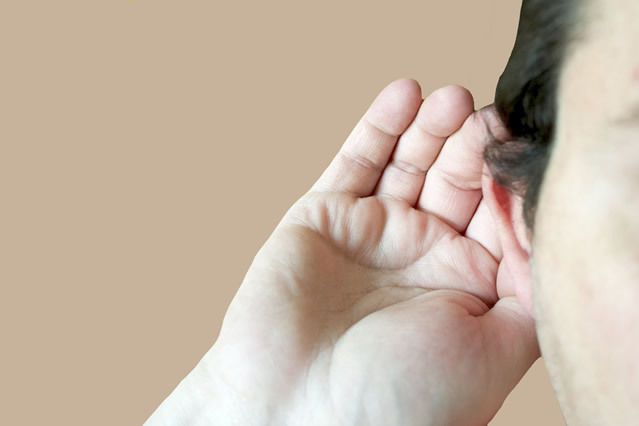 Signs and symptoms of hearing loss include difficulty understanding others when they speak (speech may appear to be muffled or garbled), asking speakers to frequently repeat what they have said, the inability to distinguish speech from distracting background sounds, turning up the volume to levels that others find too loud and tinnitus (ringing in the ears). At Advanced ENT and Allergy, the physicians and audiologists take a team approach towards evaluating and treating hearing loss. This ensures you receive the most comprehensive medical care, diagnosis and management for your hearing loss, regardless of the severity. Our aural rehabilitation program is designed to assist you in learning about measures you can take to improve your communication skills while developing a personalized hearing treatment plan that will provide you with strategies for effective communication. We want to reconnect you with your world and improve your quality of life! Your hearing is crucial to your wellbeing. If you are committed to taking care of your hearing health, contact Advanced ENT and Allergy today for a comprehensive hearing evaluation.